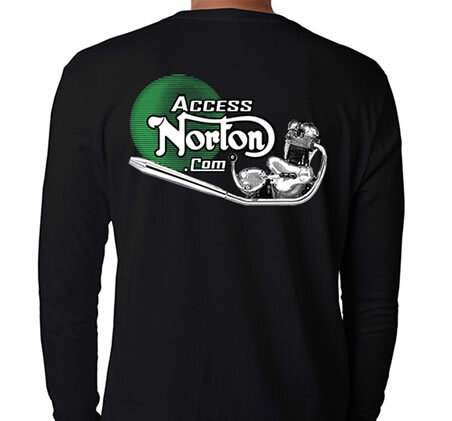 Access Norton Forum Long Sleeved T Shirt. Excellent quality 100% cotton. These shirts don’t shrink. 100% cotton black long sleeved t-shirt with AccessNorton logo on front and back.